The Monte Bolca Eocene fossil site is a single quarry near the village, known as the Pesciara (meaning the fish bowl) because many of the marine fossils are fishes. The fossils are some 49 million years ago, having been deposited in the Eocene Epoch of the Tertiary Period of geological time. The Italian government considers fossils of this Lagerstätte to be a national treasure. The formation comprises 19 metres of fossiliferous limestone in which certain horizons contain fossil with truly exquisite preservation earning the site the designation as a Lagerstatte. Fishes and other creatures have been found with internal organs and other details such as skin color preserved. An anoxic environment delayed decay and deterred scavengers. The fossils are collected by boring tunnels deep into the hillside formation, following the seam where the fossil fish layer goes into the mountain. The same family has owned this quarry for almost four hundred years. When the weathered matrix is split the fish open, but the rock ALWAYS shatters, such that all but the smallest Bolca fish are repaired. The larger fossils are normally reassembled from dozens of pieces. These fossils have been collected for centuries. During the crusades were considered (yep, THOSE crusades) to be remains of the last supper and are still considered to this day by many as evidence of the great flood. Kings of Europe collected them for their sheer beauty and rarity. 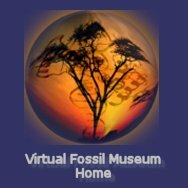 Fossils discoveries include the moonfishes Mene rhombea and Mene oblonga, the batfish Eoplatax papilio, spadefish Exellia velifer, the fish Ceratoichthys, the crocodile Crocodilus vicetinus, and the snake Archaeophis bolcaensis.